I love knitting. I love Cary Grant. And this video clip of Cary Grant’s character learning to knit in Mr. Lucky is hilarious. Happy Valentine’s Day! A woman named Dayna has started posting about a series of challenges that her family and friends have given her to help her learn new things and get outside her comfort zone. Aside from being a great idea in general (who hasn’t made a “bucket list” at one point?) I love that one of her challenges was to learn how to crochet from her mom. It seems that, more often than not, this type of craft is passed down from one generation to another. It just makes the hobby that much more meaningful. Who taught you to knit or crochet? I’m playing catchup on some posts and wanted to share one of the goodies I got for my birthday. In addition to this adorable cupcake, that is. It’s no secret that I’m a huge fan of the show Sherlock and have been a bit of an evangelist to recruit new fans. It’s become a running joke whenever anyone talks about TV shows in my immediate vicinity: “Hey, you know what’s a good show? Sherlock.” Fine. But seriously, you do need to watch it. 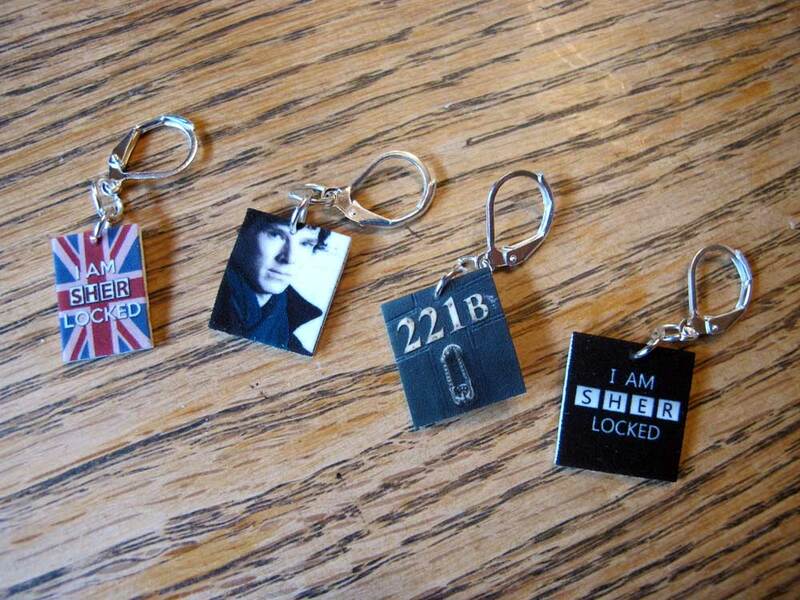 For my birthday, my husband got me a set of Sherlock stitch markers on Etsy in honor of my fandom. I love them. My fellow fans will recognize the references and that trademark Sherlock stare. The game is on. 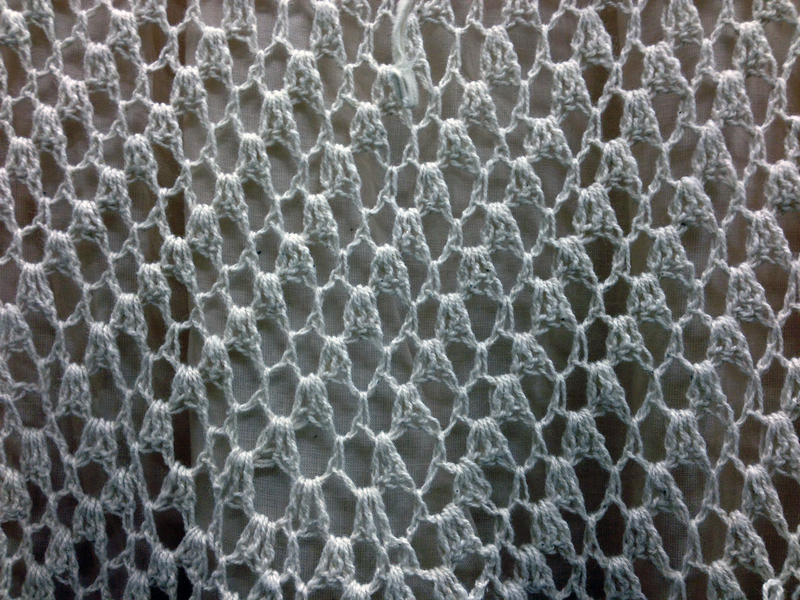 I went out for a quick shopping trip today, and found this crocheted skirt. It wasn’t flattering on me, but I thought the design was interesting. I also enjoyed this sign… well, they’re not wrong. And finally, HobLob attempted to put me in the Christmas spirit, but I wasn’t into it. I know this video of Amanda Seyfried chatting with Ellen about knitting is old, but I love it. 🙂 It’s so great to hear celebrities talking about their crafty hobbies. Happy Friday everyone! An article about the first knitxmidwest retreat (which I attended and wrote about here and here) was recently featured in Mingle magazine – pretty cool! Check out the post about it on hey jen renee. It looks like registration is now open for the second annual retreat this November – if you’re a Midwestern yarn addict, you should check it out!